Traditional sneakers in a trendy antique finish. The youthful traditional sneakers in oak have a goat suede upper and a thermoplastic rubber outsole. The bright sole and the leather are trimmed as they used to be and exude a very own charm. 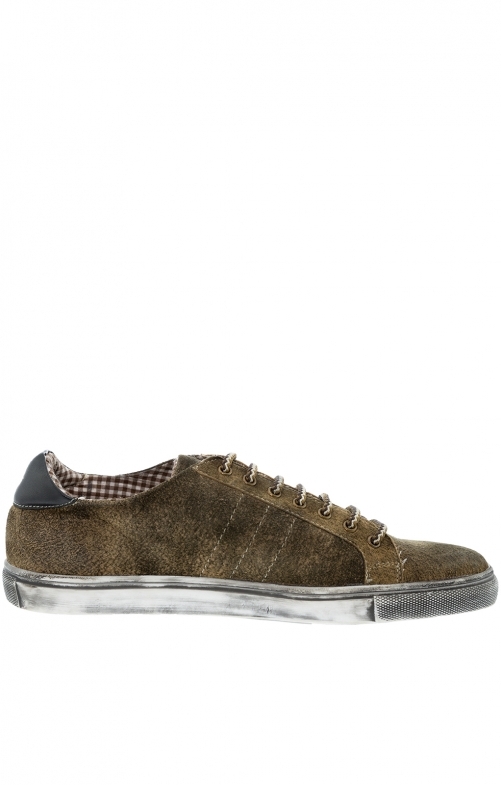 Inside, the men's shoe scores with a brown-white plaid lining. The lacing is tri-colour: brown, beige and cream.